New content: Laugh, smile, take a break! 10 seconds at a Time is a simple way to send moral support messages to your friends and relatives facing difficult times, in a non-intrusive, motivation inducing way. The only way to view a message is to start and finish the 10 second timer. Experiencing long periods of intense pain, suffering, or emotional agony can often create feelings of defeat, isolation, and depression. However, by breaking down our indefinite suffering into something definite, say 10 second periods, we can begin to reclaim the feeling of success, hope, and accomplishment. These feelings can lead to an increase in dopamine levels, which can lead to better moods, energy, and motivation. As such, 10 Seconds at a Time was created to promote and encourage fighting small battles to achieve big wins. 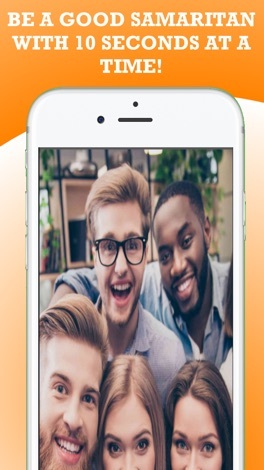 As you will see in the app, by starting and finishing the 10 second timer, not only will you have reclaimed a bit of hope, you will be rewarded with a supportive message either from your friends, family, or from our public support channel. 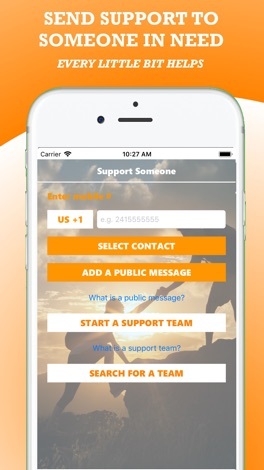 •	If you are downloading the app to send support to someone, you simply need to navigate to the support page and select your contact. Choose what type of message to send and proceed to upload your message. 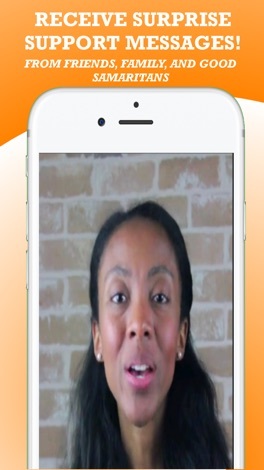 •	Your message will be waiting for your contact whether they have downloaded the app already or not. 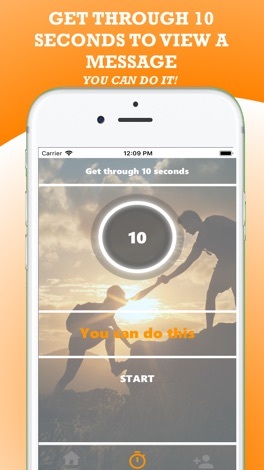 •	If you are downloading the app to receive support and stay motivated, navigate to the timer page and click start. At the end of 10 seconds, a message will be displayed (or played).